Making customers, staff and residents feel safe and comfortable when on site is extremely important, as is ensuring a smooth flow around your site. 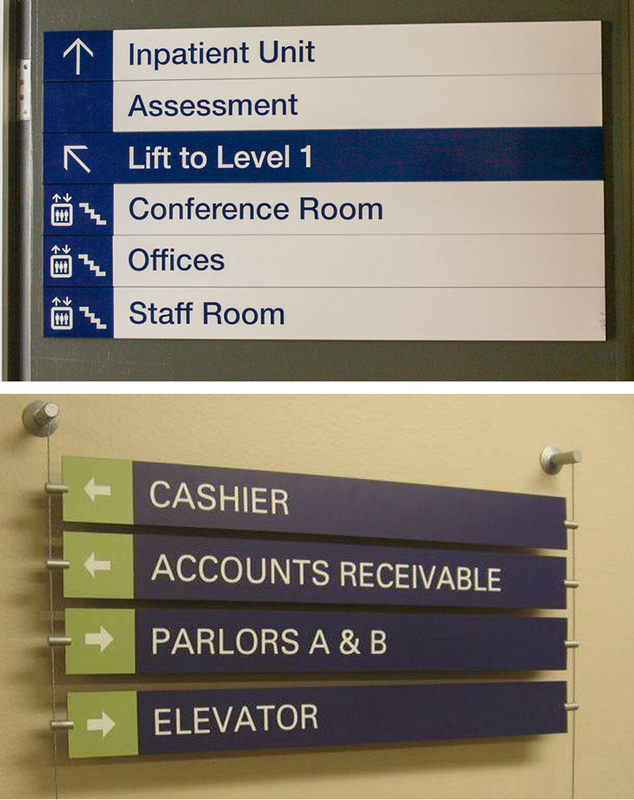 Directional signage, whether in the form of wall panels or cut-lettering, or finger sign posts, is an extremely effective way to achieve this. JMF Signs are delighted to work on any directional signage project, from consultation and design to production and installation of all shapes and sizes of site signs.